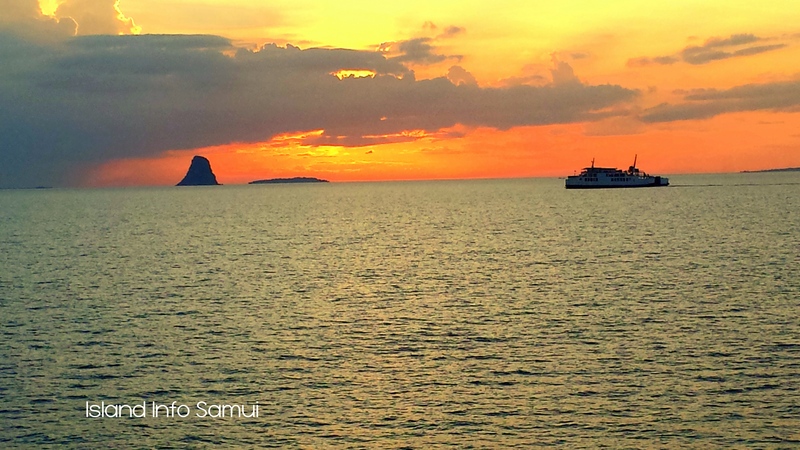 The ferry trip between the mainland port of Donsak, in the district of Surat Thani, and Koh Samui can be a great place for a quick nap after a night at the Full Moon Party or the party’s in Koh Samui, alternatively, it can provide you with some stunning photo opportunities if provided that you can keep your eyes open. 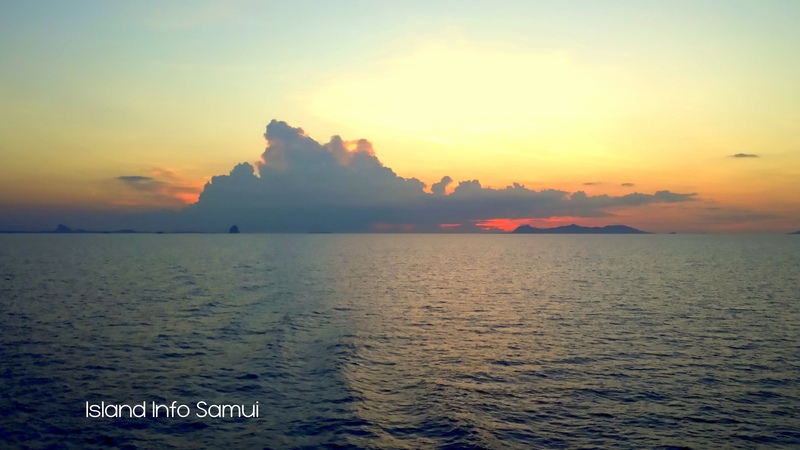 I was on the way back to Koh Samui after coming from Surat Thani airport earlier in the day. 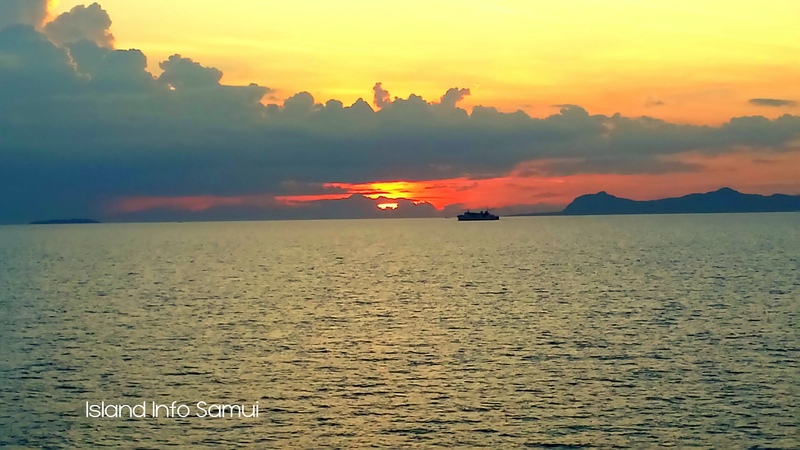 I was on my way to the shop on board the ferry for a cold drink and saw the stunning sunset and quickly forgot about my thirst. 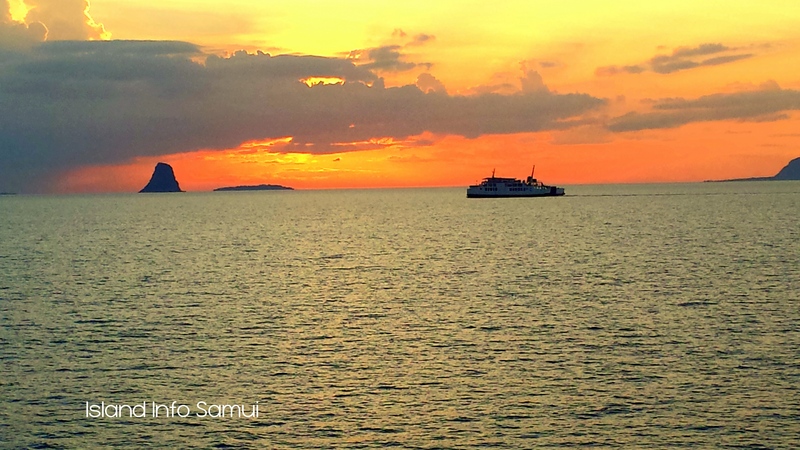 I was on the 6pm ferry, and these sunset photos were taken around 6.30 pm. Not long now until I arrive at Nathon and then a 30 minute drive to my Island Info Samui office inside ARKbar Beach Resort. 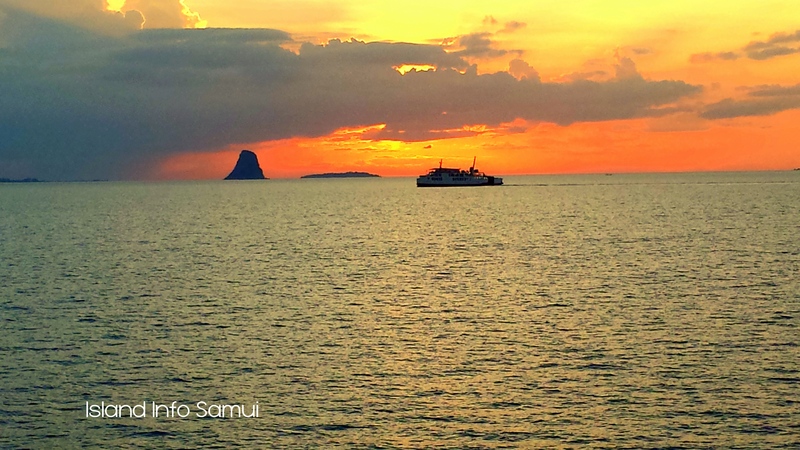 The ferry trip takes around 1 hour and is a great way to be introduced to Koh Samui.